A man who admitted to killing his wife, her parents and her brother, has been indicted in Pinellas County on three capital first-degree murder charges and three charges for aggravated animal cruelty. 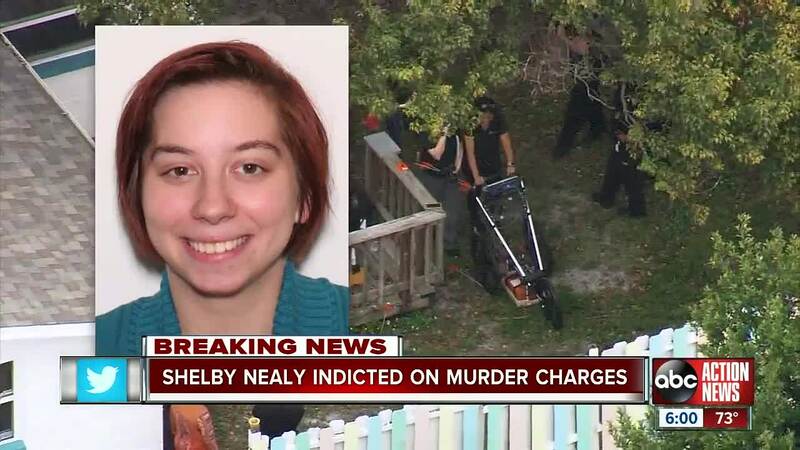 UPDATE | On February 22nd, Nealy faced a faced a Pinellas County judge where he was charged with felony murder in the first degree for the death of his wife, Jamie Ivancic. A judge ordered Nealy to appear in Pasco County for the charge. We're working to find out whether the four murder cases will be combined or whether he'll face a separate trial for Jamie's murder. 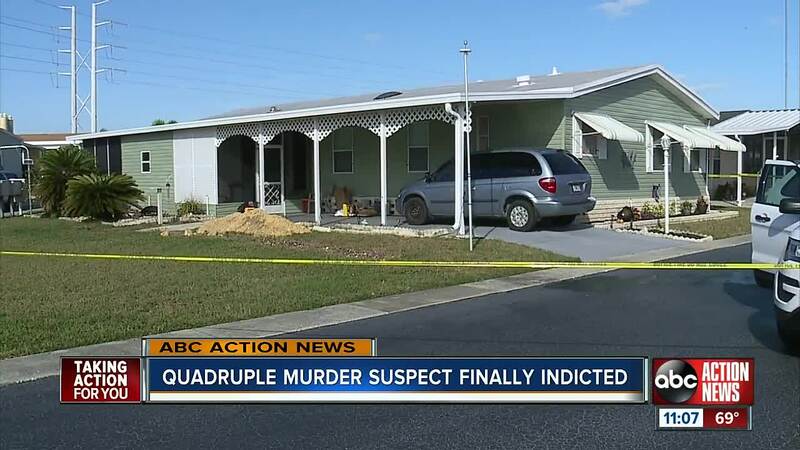 PINELLAS COUNTY, Fla. — A man who admitted to killing his wife, her parents and her brother, has been indicted in Pinellas County on three capital first-degree murder charges and three charges for aggravated animal cruelty. Shelby Nealy, 25, is charged with killing Richard Louis Ivancic, 71, Laura Ann Ivancic, 59, and Nicholas James Ivancic, 25. Court documents show that Nealy confessed to killing his wife Jamie Ivancic, 21, a year ago in Pasco County before moving to Texas with their two young children. While there he used Jamie's phone to communicate with her family, pretending to be her. Nealy told detectives his wife's family became suspicious because "they had not heard their daughter's voice," according to documents. Nealy then drove his wife's car from Texas to her family's Tarpon Springs mobile home, "with the intent to kill all three victims." "Why wouldn't the kid just disappear?" asked Zindroski, "Why he traveled, planned and manipulated to come back to Florida to kill his in-laws and my sister and my nephew is beyond me." Richard Ivancic was killed first on December 15, the documents show. Nealy was home alone with Richard and hit him in the head with a hammer. Later that same day when Laura Ivancic came home, he killed her the same way. Then he wrapped both of their bodies in rugs and dragged them into their bedroom. The documents state Nicholas Ivancic came home last that day, sometime in the early evening. The next day Nealy used the same hammer to kill Nicholas while he was sleeping on the couch, according to the documents. Nealy wrapped Nicholas' body in a painter's drop cloth, documents show. Nealy then stole Laura's Kia Sorento and drove it to Ohio. He told detectives he stole it, "because the license tag was expired on Jamie Ivancic's vehicle." He told detectives he intended to return at a later time to dispose of the bodies, the documents state. "You see this stuff happening in other places and to other families, you never imagine it would happen to yours. It's been the hardest thing....to understand and accept," Zindroski said. 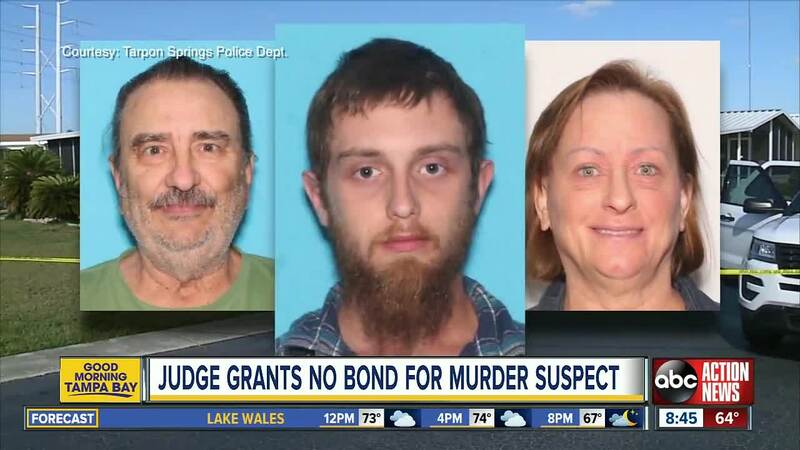 The bodies of Richard, Laura and Nicholas were found by Tarpon Springs Police on New Year's Day after a family member called for a welfare check because they weren't able to contact them. The officer said he saw numerous live flies through a window of the home, and smelled a strong odor of body decomposition. He then entered the home through an unlocked sliding glass door, according to documents. He said the home was ransacked and in "complete disarray." Then he found all three of the victims. "That's the real tragedy...my sister and brother-in-law had gone out of the way to try (to) receive Shelby into their family into their home and then for him to react and do something like this is kind of hard to comprehend," Zindroski said. Zindroski tells ABC Action News he's also uncovered revealing text messages sent by his sister. 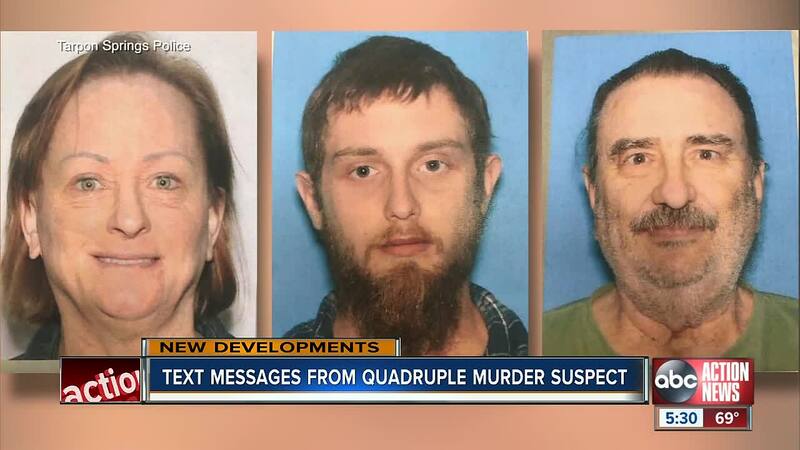 He's forwarded the messages to investigators. Zindroski says the messages piece together what Nealy told his in-laws to put them at ease for so long. "[Laura Ivancic] was at least somewhat satisfied initially with the text messages and the voicemails that everything was going to plan," he said. As part of that illusion he sent pictures of the kids, a story of new jobs and Jamie taking classes all while posing as his wife. "I guess the big question is why. Why would you do that to a family that took you in and tried to provide you with some kind of family," he asked. Forensics Anthropologists from the University of South Florida, along with the Pasco County Sheriff's Office, found Jamie's body on January 6, and confirmed it was her on January 8. Authorities said she died from violent blunt force trauma. Nealy was arrested in Lakewood, Ohio after police caught him with Laura's stolen vehicle. When police responded to the area where the stolen SUV was seen, Nealy, who also uses the alias name of Shelby Svense, was in a home on Newman Avenue with his two children, a 3-year-old and a 2-year-old. The toddlers were transported to Cuyahoga County Children and Family Services. Nealy was released from the Cuyahoga Jail on January 18 on extradition. He is currently being held at the Pinellas County Jail with no bond. He has been charged with capital first-degree murder in the deaths of Richard, Laura and Nicholas. He has also been charged with grand theft auto and three counts of aggravated animal cruelty for killing the family's three bichon frise mix breed dogs, Bailey, Boomer and Buddy. Charges in the death of his wife Jamie are pending. We spoke with Jeffrey Swartz, our ABC Action News legal expert, about the possibility of the death penalty. "It's very likely the prosecutor will seek the death penalty. There are multiple aggravated circumstances that would lead to that decision" he said. Swartz points primarily to the number of people killed and the cover up. We also asked about the delay in charges for the murder of Jamie Ivancic. "It appears the police and prosecutor are still piecing together circumstances of her death before they charge him," he said. Swartz also doesn't believe an insanity plea would stick. He explains it's because Nealy acted in such a way after the murders that shows he knew he'd done something wrong. Swartz points to the cover up, burying his wife and posing as her for a year.